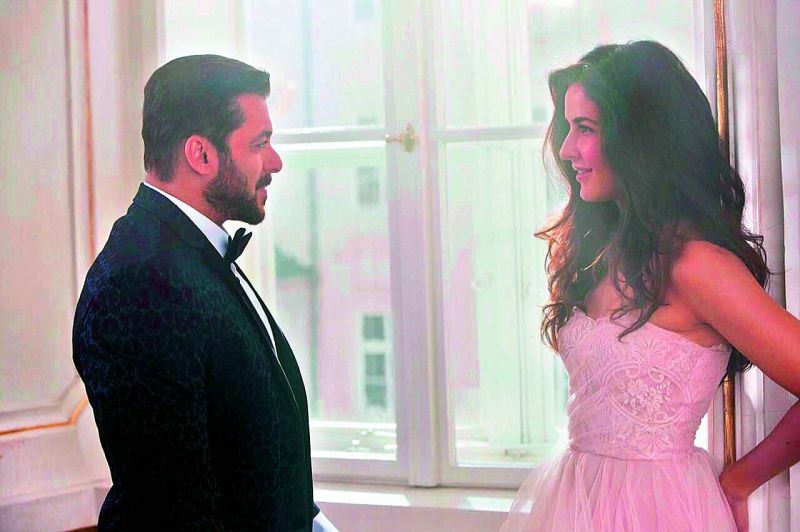 The vibes in Austria, where Salman Khan and Katrina Kaif are currently shooting for Tiger Zinda Hai, are being described as “very, very warm”. Apparently, Salman and Katrina, who were once a couple, are now back to sharing the same comfort level as they did back then. “We’re not saying they’re in a relationship, but their equation is definitely on the upswing,” says a source from the shooting location. Katrina’s last relationship with Ranbir Kapoor had come to a very public end, and left her, as well as her career, in a state of despair. This is when Salman re-entered Kat’s life. He not only got her the first post break-up project, but he also made sure she was well looked after by his team. And now, Austria seems to have further cemented their old association. “Salman is constantly attentive and is looking out for Katrina. They spend a lot of time chatting, when they aren’t shooting. They’re definitely close friends again,” the source informs us. It now remains to be seen where the renewed friendship between the two is heading. Perhaps to a place where it couldn’t go the last time they were together? Indian women’s cricket team to tour South Africa with men’s team next year?